This past week we’ve been in a winter wonderland. After the heavy snow “Snowzilla 2016” dropped on the Chesapeake Bay, warmer temperatures are forecasted for the next week. It’s been a busy week, and I’m starting to long for the quiet days that I spent on Chincoteague Island, Virginia recently. While it was cold and bitter, it was beautiful and simple. The Assateague Island National Seashore is a long and narrow island off the coast of Maryland and Virginia. These two states share the island, with an odd fence on the state lines. 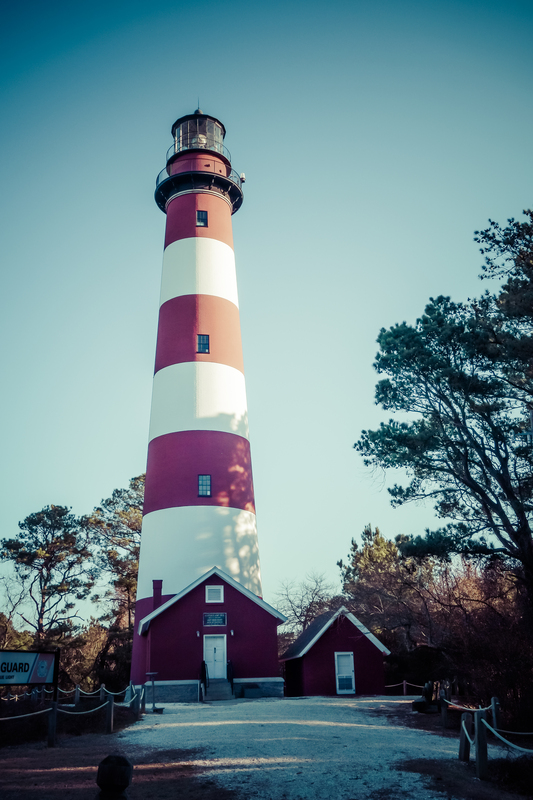 The Virginia portion of this long island is known as Chincoteague and is home of the Chincoteague lighthouse. The lighthouse location was established in 1833, with the original lighthouse replaced with a taller and stronger lighthouse in 1867. Standing 127 feet high, this lighthouse’s double lights can be seen up to 19 miles away. 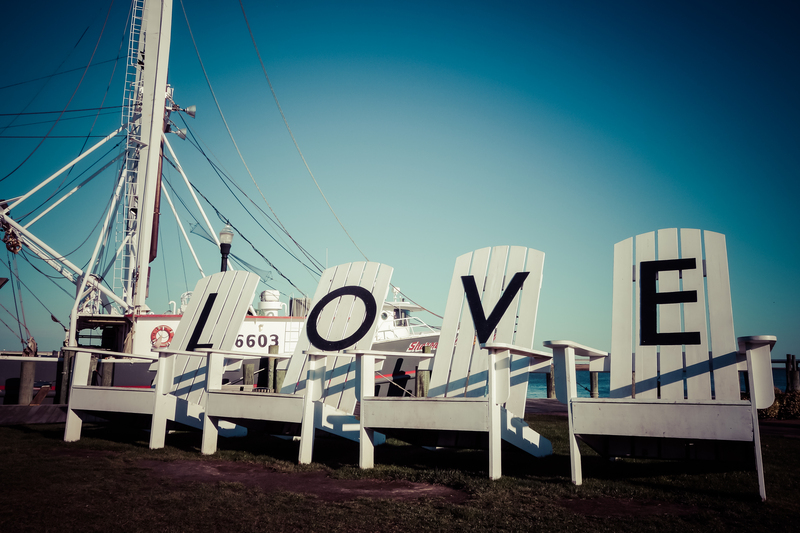 Chincoteague is home of oystermen which is a dwindling trade and the island is quiet during the winter. But in the summer tourists come in droves and cars line the main street slowing traveling from one end of the island to the other. Best known for their Pony Penning days held late July made famous worldwide by the story of “Misty of Chincoteague” written by Marguerite Henry Chincoteague is a family favorite beach destination. The ponies found on Chincoteague are descendants of the horses brought by the colonists in the 1600’s. Wild and roaming free on the island, each year the Chincoteague Fire Company rounds up the horses and have them swim across the channel to the town. After a review of the herd, ponies are placed on auction as a fundraiser for the company and helps with herd management. Each of these ponies are registered and named and the Chincoteague pony is now a registered breed. Yes, spending time in a sleepy beach town in the winter is certainly a wonderful thing. Perhaps one day you’ll make it there as well. Sounds like a really lovely place. Small but charming indeed Miriam. Everyone knows everyone. Lovely photos and such interesting bit of information. My dear Corinne. Something tells me Chincoteague would speak to you. A beautiful and simple place. Thank you!